The Pendants are made of Surgical Stainless Steel, the purest available. This steel is used in operations and joint replacement. It looks like silver but you do not have to polish it! It will not mark your skin or clothes. All the Pendants come with an Inner Peace Patch on a pad behind the front Filigree – and don’t we all need that energy! The Inner Peace Patch is silver with soft blue circles and looks just like an opal, when seen through the filigree. Beautiful!! You can change it for a colored pad to which you can add essential oils or anything else you choose, just be sure the magnetic back will close. Please ~ choose ONE the Remedies below per Pendant. You can find more information on the programmed energy in the Card Category. The Pendant is Designed to Alleviate the Body’s Reaction to Common Allergens. An allergy occurs when a person’s immune system reacts to substances in the environment that are harmless for most people. These substances are known as allergens and are found in dust mites, pets, pollen, insects, ticks, molds, foods and some medicines. This Pendant is programmed with important Anti-Aging Energy Frequencies. Healthy DNA is surrounded by structured water. This water is responsible for the DNA’s stability. Structured water is also responsible for supporting the electromagnetic field surrounding DNA.As water loses its structure (because of age and disease), the integrity of the DNA is often compromised. Youthful DNA, surrounded by crystalline/structured water, has a much stronger electromagnetic field than DNA from older individuals. The Digestive Gluten Celiac Pendant is Designed to Aid in the Digestive Process. The digestive system is the largest system in the body and involves many organs, and the process of digestion has many stages. Each part of the digestive system is subject to a wide range of disorders.With this Pendant we have tried to add frequencies that will aid in the digestion of food, including the energetics of bacteria that are friendly to the system. The Pendant contains the energy of Advanced Eye Focus and Vision & Clarity Patches. This Pendant is designed to restore the specific energy needed to improve a broad range of eye health challenges, Our intention is to restore the energy patterns related to the eyes and includes; Floaters, Retinal inadequacies, Glaucoma and Cataracts. There are many causes for hair loss, this new Pendant covers a broad range of causes, from alopecia to pathological. The most important purpose of this Pendant is to stimulate the hair follicle. Hair grows very slowly so this Pendant may need to be worn for many months before seeing any improvement, and it may even have to be worn forever to keep the follicle alive – but I have had very encouraging feedback from those testing it for me! Many herbs and stimulants have been added to the Hair Stimulation Pendant, but I believe the most important addition is ATP Plus. If you think your hair loss is connected to a chronic illness the ATP Pendant could be a useful addition to your overall health and will also strengthen the ATP in the Hair Stimulation Pendant You could use both together. The Health Plus Pendant is an All-Round Healing Program. This Pendant has expanded health benefits to complement all of the other products. Its rejuvenation frequencies boost any other products being worn. This is very useful if you have a client with a chronic condition. The Pendant also contains the energetics of GH-3 which contains regenerative qualities, this helps to improve balance, cleanses blood vessels, and improves circulation to all of the body. The GH-3 will also help to maintain youth and vitality we can lose as we get older. One of the biggest factors in aging is a buildup of MAO (monoamine oxidase, an enzyme)The GH-3 helps to normalize the levels of MAO. This enzyme tends to start building up in the body after age 45. Too much accumulation can lead to tiredness and depression. When the energetics of the GH-3 normalizes the levels of the MAO enzyme in the body we have a much better youthful out look on life. The Lyme Regimen programming has been updated to include new research information. I added the most common bacteria of the Oral Bacteria & Biofilm to this new Pendant and expect to add more as the research continues on this new understanding of how Oral Bacteria can cause many illnesses with in the body. The Oral Bacteria & Biofilm Cards and the Pendant with the same Remedy are proving to be very important, as evidence is accumulating which links oral bacteria to a number of systemic diseases, including cardiovascular disease, stroke, preterm birth, diabetes, and pneumonia. I am also now able to help patients who have had Rheumatoid Arthritis for years with no relief. It is Staphylococcus Aureus that causes the problem, it also invades hip and knee replacements. We all have little headaches and aches and pains from time to time. This Pendant is designed to create a higher level of comfort at the time of occasional pain. There are specific frequencies for trauma – whether it is a car accident or surgical procedures, both are an emotional and physical trauma. This Pendant can be used with the Master Restoration Patch or one of the Health Plus products for faster relief and healing. The Pain-Tens Relief Pendant has been newly programmed with TENS frequencies and biofilm dissolving frequencies. This Pendant Contains the frequencies of the Stress & Anxiety Patch plus the Advanced Stress Patch. It also contains the calming frequencies for daily stress caused by worry, frustration and overwork. You will find just holding the Pendant and taking a deep breath will have a calming effect. You can also hold the Pendant next to a glass of water or other liquid for just a few moments and you will be able to sip the calming energy. This Pendant is programmed with the energetics that are in the Advanced Eye Focus and the Vision & Clarity Patch, plus energetics for: Cataracts (extra) . 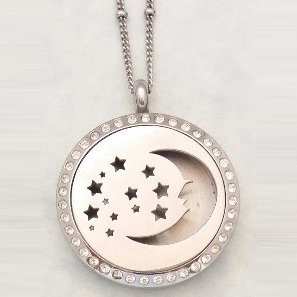 This Pendant Contains all of the Weight Loss Support Patches in one Product. Research results: We tried to do a multi-faceted approach to Weight Management.If you really want to lose weight you need to follow a complete system. You must reduce caloric input and increase physical activity. Every successful weight loss program involves that. Please email or call if you need more information.